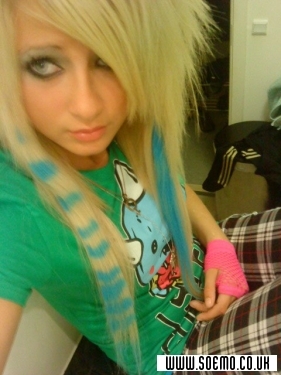 Well .. My name is Chrissy, or actually it's not .. My name is Christine, but i like Chrissy even better.. Im 14 years old, and im fine with that dx' .. im a suchcallen, "Scene Kid" and yes, i DO love it <3333. Thats not easy .. uhm .. I kinda like listen to evrythin.. Pop&Rap, R&B, rock, methal, gothic, EVERYTHING <3 But uhm, heres some of them bands.